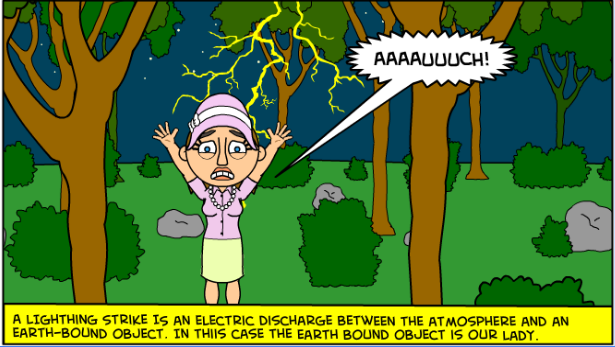 8a - What is electric charge? What causes it? Static charge builds up when one material has a greater electron affinity than another. 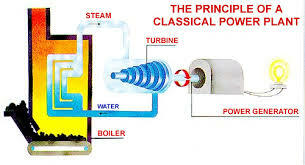 When rubbed against another material, it can steal electrons from it leading to an excess of negative charge on one item and positive charge on the other. 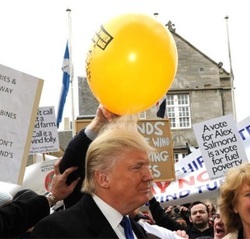 Rubbing a balloon on hair is a good example. Electrons are transferred from one to the other causing 2 oppositely charges objects. When the hair of the baby becomes charged, the strands of hair spread apart as the like charges repel each other. When the number of electrons reaches a certain point, the forces of repulsion become great enough for the electrons to try and jumps away from the material to form electrostatic equilibrium again. This is called an electrostatic discharge. 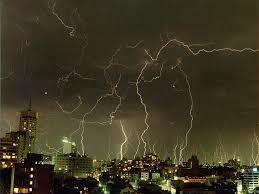 A large example is that of lightning. 1. Describe what is seen between same and opposite forces. Walking along a carpet and getting an electric shock from a door handle. After rubbing a balloon against someone head, it can be stuck against a wall. ​The water from a tap bending next to a plastic comb (what must have happened to the comb before). Ohm´s law describes the relationship between voltage (V), current (I) and resistance (R). The equation can be used to predict the effect on current if resistance is changed, or, to predict the effect on current if voltage is changed. Series: Current is the same throughout a series circuit. Series: To calculate the equivalent resistance in a circuit, we simply sum the values of each resistor in the circuit. Parallel: To calculate the equivalent resistance (Req) caused by the different resistors. Parallel: If the circuit splits, then the voltages across each path are equal (and the same as the voltage across the entire section). 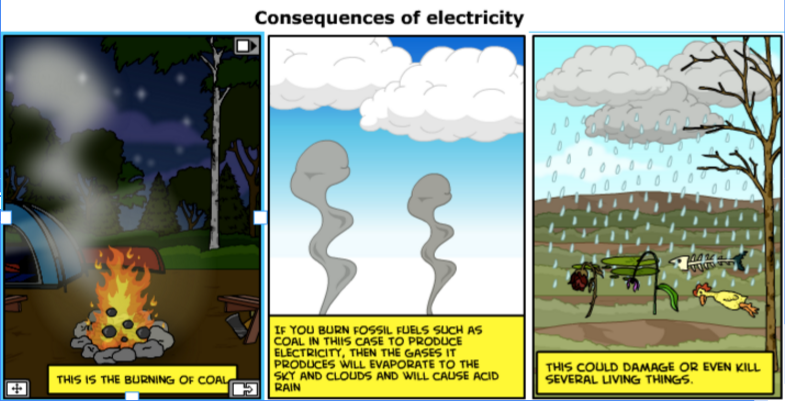 The majority of the production of electricity comes from the burning of fossil fuels as shown to the right. 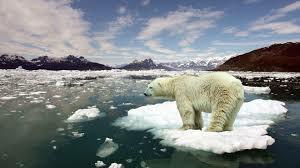 The act of retrieving fossil fuels and the products of burning them are responsible for many global issues.